Qatar-based broadcaster Al-Jazeera International has appointed Stephen Cole as the main male news anchor in their London bureau. 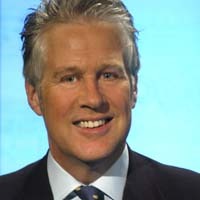 Mr Cole has 26 years' experience in journalism and has fronted Sky News, CNNI, BBC World and BBC News 24. Most recently he was senior anchor with BBC World in London and host of the BBC's Click Online programme. Mr Cole said he was honoured to be part of the Doha-based, 24-hour news channel. He said: "I firmly believe in the mission of the channel to bring viewers a 360-degree perspective on world events that shows all sides of the story from all parts of the world." Stephen was recently elected to the British Academy of Film and Television Arts (BAFTA) and hosted the Royal Television Society Technology Awards on 8 December this year.